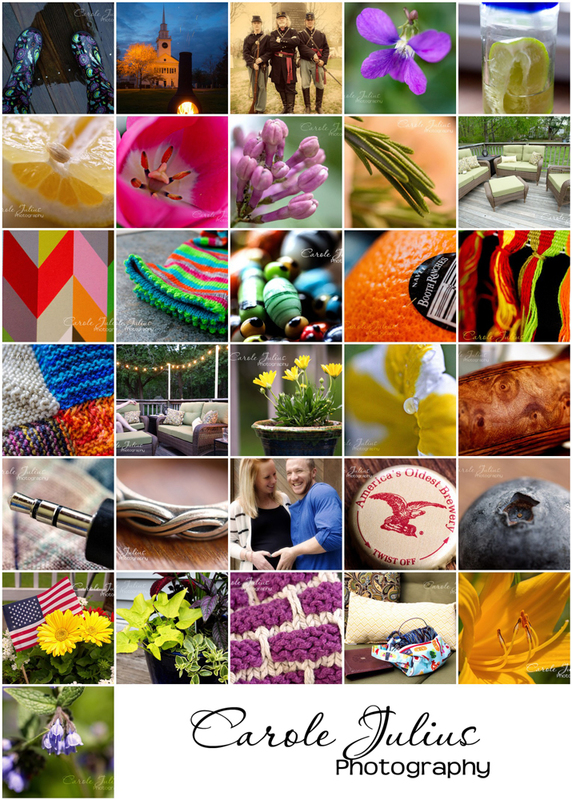 It’s the second day of June and I am hopping right into it with my May photo mosaic. So timely, that’s me. So May is traditionally Macro May and that means lots of macro images. This was good because it forced me to use my “old” camera since I don’t have a macro for the new one. Going back and forth between those two camera bodies was a challenge – I’d just get used to the way one works and then I’d switch. Anyone who tells you that macro photography is easy is crazy. I think finding subjects for macro photography is easy because every day things look cool up close. But getting a nice sharp image? That’s something I struggle with every single time. Nevertheless, I persist and there are a lot of macro shots in that mosaic. There are also the usual shots of food and my every day life and also one tiny sneak peak of the maternity photo shoot I did – more on that very soon. And now, on to photographing June! The colors are so bright in May! What a wonderful collection of photos, Carole. There is nothing easy about photography. 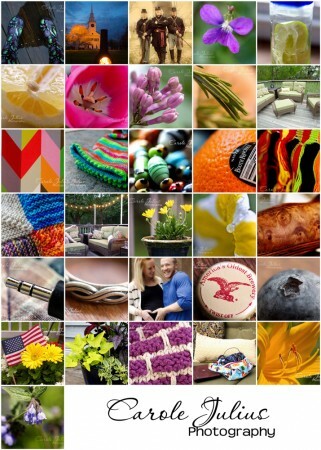 You do a wonderful job of taking pictures, tweaking them, and making wonderful collections. I especially love the blueberry. Very cool shots. The maternity one ALMOST makes me want to go and do that again. But as my sister in law is giving birth to my niece right now, I can say that those days are over and I’m really OK with that. My favorite was the maternity photo. When I was growing up, woman wore tents while pregnant. Teachers were forced out of the classroom when they began “showing”. It’s great that today’s women and couples can celebrate the coming event so openly! loving all those colors! and even real people! I’ve never used a macro lens; I’m sure it’s a challenge to focus, even in bright light.